Do you wonder what your shop burden rates should be if you normally work 8 hour days but you only have 4 hours of work? Do you charge the customer for all 8 hours? There are some companies that will charge for 8 hours of work even when there was only 4 hours of labor. This gives an inflated cost to the product and may thus give it the appearance of being not profitable when if fact it was profitable. The unused time must be classified as idle time and its costs should not be attributed to a specific job cost or product family. This unused time should be calculated and given to management in order to plan, schedule, and manage the company. Some situations when this may happen is when material is late, machine broke down, etc where management may be able to change processes to make the shop more effective. 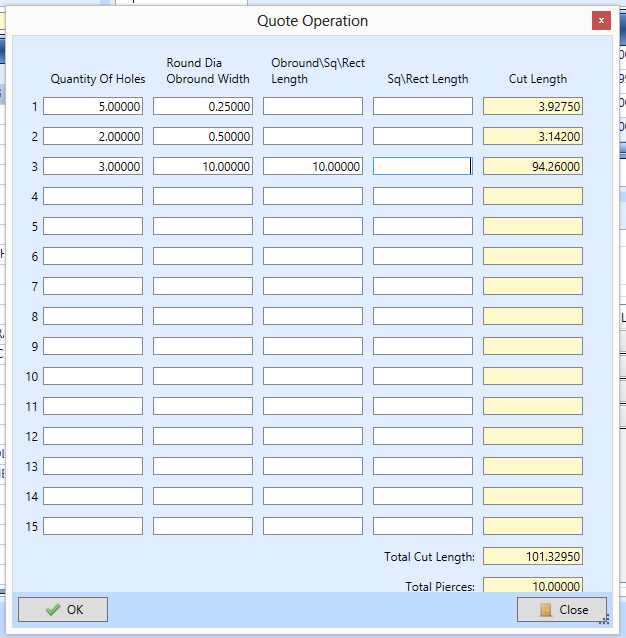 Punch press estimating is a very common way to put wholes in sheet metal parts. Punch presses have been around since 1955. The Wiedemann Machine Company was established in Philadelphia, Pennsylvania in 1916 and over the years developed and produced a variety of machines. Wiedemann unveiled the world’s first NC turret punch press at a machine tools show in Chicago in 1955. 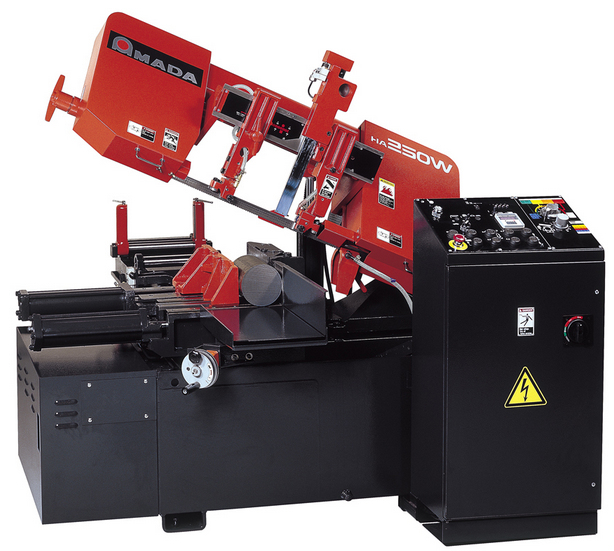 CNC punch presses are very common and still outperform laser in many scenarios in speed. 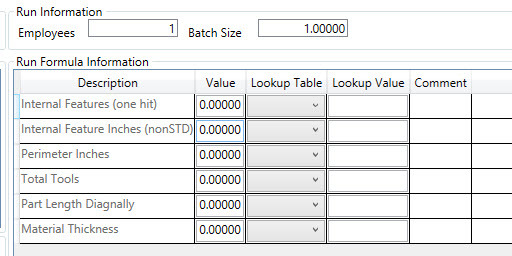 Punch press formulas for estimating usually ask for number of hits, tools and thickness of material. 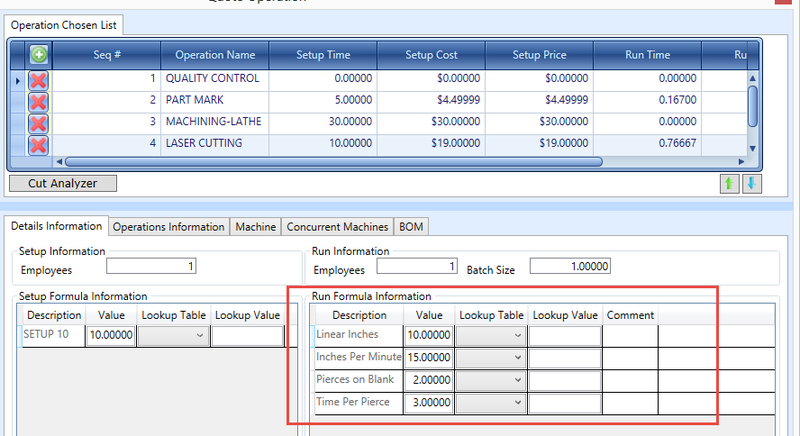 You can see a sample formula below which can be changed based on your machine capabilities.